Last edited by markwesti; 01-15-19 at 03:38 PM. There might be a reason why this never really caught on. is just me or seems easy to make one? @Rollfast , what did you think I was talking about ? Exposure of a bad idea to as many people as possible? Sounds like the recording industry. ...And actually had an honest-to-goodness headbadge in the 70's typeface. 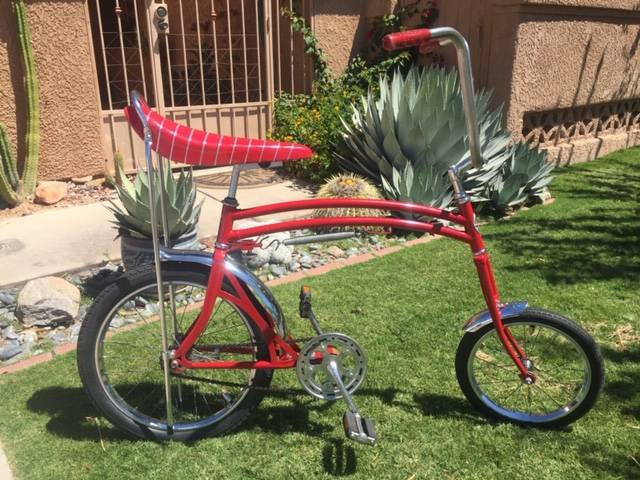 Selling my 1970s Swing Bike. 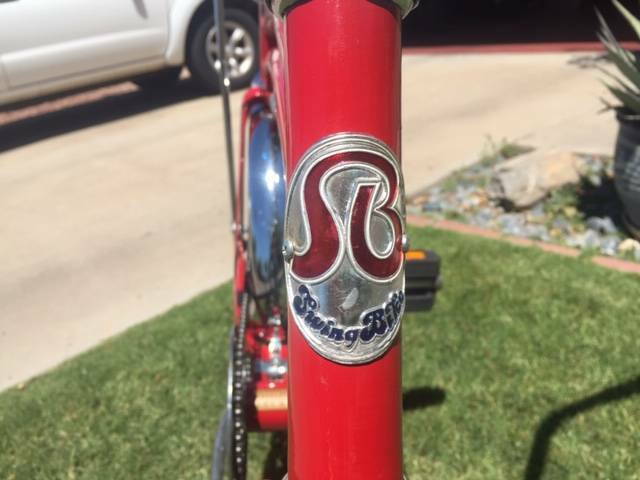 This was a bicycle that was made for just a few years and marketed by the Osmond's on their show. I've owned it for about 20 years and have had a blast riding it in various events. Perfect for having fun in your neighborhood or riding in Cyclovia! This bike is in excellent working condition and able to be ridden and enjoyed as is. The photo shows the bike with an aftermarket spring that allows for more swing when riding, I do have the original spring set and it is included with the sale of the bike. Is the swing bike related to the scraper bike? Nope. One is well lubed. I have never ridden a Swing Bike. I heard that it could dump you in an instant. However, Seth from "Seth's Bike Hacks" has one and seem to have no problems at all. I think he mentions that the 26" wheels makes it more stable and rideable than the older 20" variety.